There’s been a lot of talk recently about historical comparisons of heavyweights of older generations to heavyweights of the new generation. I’ve been asked on many occasions where I stand on this debate; my perspective is that more experience in amateur bouts makes for a more seasoned and skilled professional. It’s not my intention to knock or take away from any of today’s fighters, nor is it my intention to overly glorify fighters of the past. 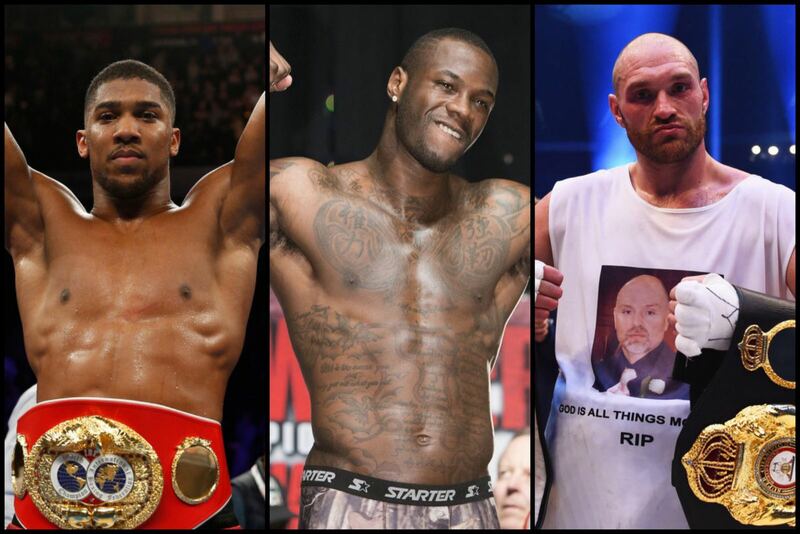 When you look at the state of today’s heavyweight division you have a group of young up-and-coming talent who are basically still learning and perfecting their craft at the championship level. Yeah, it adds excitement to the division, but I still haven’t seen what I would call the clear cut “last man standing”. Most of the top HW fighters today don’t come from a pedigree that has a long amateur career. If you look at Deontay Wilder and Anthony Joshua, both competed in the Olympics and won medals, but they also didn’t have extensive amateur careers to build up on before turning pro. What they did have was amateur success in the form of gold and bronze medals. Generally, these are things that translate into launching pads for professional careers and it’s no different in the case of Joshua and Wilder. I used my success in the 1988 Olympics to do the same. However, my setbacks in the 1984 Olympics, caused me to step back and re-evaluate, and I chose to hone my skills further as an amateur, pursuing that gold medal ticket for another four years. As I progressed in my amateur career, I picked up a ton of valuable experience that would pay dividends for me as a pro. Along that road, the Olympic gold-medal became my only goal. I vowed to get back to the Olympics and win it in 88! You might also remember that in 1984, Mike Tyson, Evander Holyfield and myself were all going for the top prizes in amateur boxing. Tyson didn’t make it past the US trials, losing to the eventual heavyweight gold medalist, Henry Tillman. I lost during Olympic competition to the eventual Super Heavyweight Olympic Champion, Tyrell Biggs and Holyfield went on to win a bronze medal in the light heavyweight division. As an amateur, I was a pugilist. When I turned pro, I became the “pugilist specialist” by specifically preparing for each fighter I faced. My extensive amateur experience showed me how to face and deal with any type of opponent. I fought over 90+ amateur fights. Evander Holyfield fought over 160. It’s not a coincidence that we were the best of our generation. By comparison, Joshua, Wilder and Tyson Fury each had about 50 or less total amateur bouts. Amateur pedigree makes a difference because this is where you hone your craft. You learn to face different styles and different physical types of fighters. You also learn these things as a pro, but with a limited amateur background you have to be more cautious in the pros because you haven’t learnt some of the tricks of the trade. You have to be more concerned as you don’t want to get too far ahead, or stay too underdeveloped, as you make your way up, knowing one loss can derail a fast moving career. Every good fighter takes something from those that came before. I did it by watching Muhammad Ali, and based some of my style on his. Ali looked at Sugar Ray Robinson and based his style along those lines. It feels like the state of the division has a lot of under-developed champions that must now learn on the job. The talent in the division isn’t what it used to be, but the playing field is much more level than anytime in the last 10 years. This adds excitement to a lackluster division as we wait to see who becomes the last man standing…if there will be one at all but we are a long way from making historical comparisons. Let’s wait to see who’s really been taking notes among the current heavyweight crop. Don’t be surprised that it might not be the one you think. Lennox Lewis speaks on the division in boxing. ⟵CAN ANTHONY JOSHUA FIT THE BATTLE OF JERICHO?